We were contracted in 2006 to build large and complex chalet style property to our client's own design. The target completion date was Spring 2008 and we are now on the final stages. 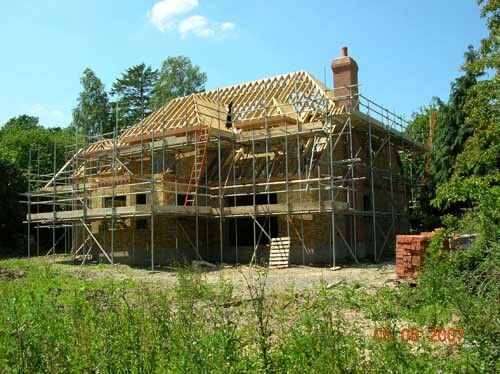 Traditional construction methods have been used and the property is finished to a very high standard comprising block and beam floors to the ground and first floors, providing the potential to convert the 600 sq/ft roof void as a separate phase. Our approved Kitchen Supplier worked directly with the client to create an inspiring design taking full advantage of the space available. 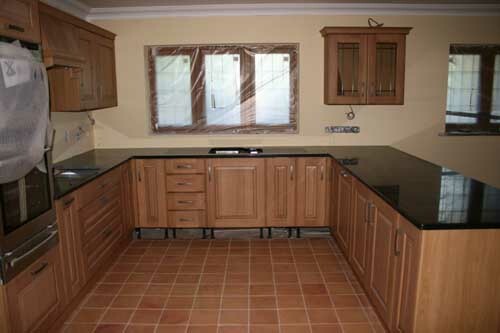 The same company supplied all the carcasses and doors but we sourced the solid granite worktops directly to save the client money. The kitchen is constructed to very high standards and features the latest energy saving appliances. 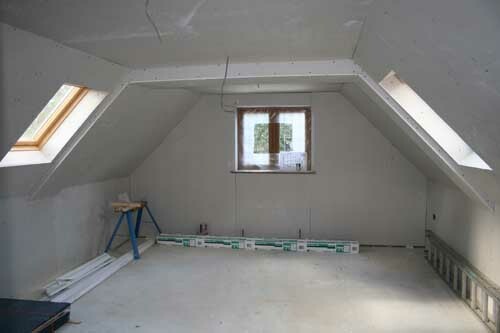 Space saving is an important part of design and build, and here we built a games room above the garage. The additional space we created at the rear of the garage enabled us to provide an extra storage area and by installing the twin boilers in the same location we saved even more space in the main house. Our next project involves building a large block work garage, commissioned by our client to keep his cherished classic car safe and secure, The building will be internally heated and over-clad with timber to give a barn style effect.